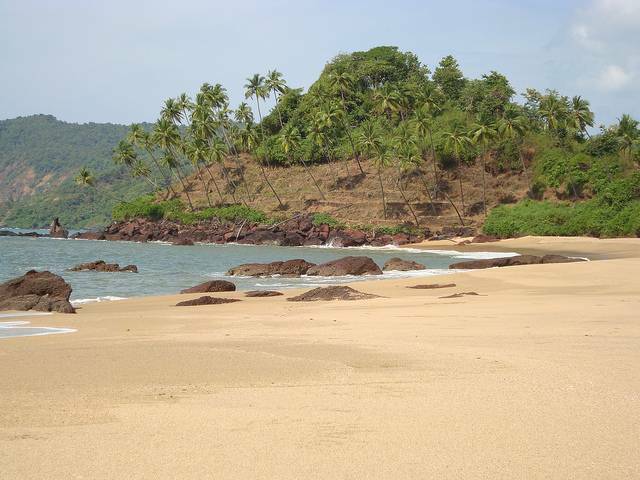 Cola Beach is one of those truly hidden gems of Goa. It is an uninhabited beach in South Goa, and there are few signs that take you off the beaten path and lead you to a beach-facing tented accommodation at Cola Beach. This exclusive tented retreat is for those romantic getaways where nothing but blissful solitude will do. There is a yoga retreat and the resort is often booked for weddings. The beach is unlike any other beaches you've encountered in Goa. Consider a stay at this retreat if you're looking for peace, quiet and romance.